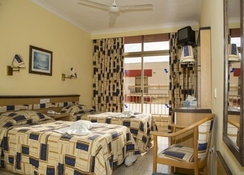 Just 800 metres away from the Bugibba sea front, the Santa Maria Hotel is a comfortable and affordable 3-star hotel. There are numerous restaurants, bars, shops and rocky beaches near the hotel, which makes it convenient for the guests to satisfy their shopping, dining and drinking needs. 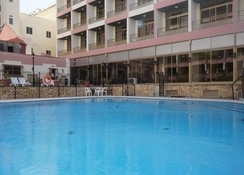 In fact, this hotel was strategically built in this location to give its guests easy access to innumerable attractions. The guest rooms have all the necessary amenities and some of the rooms are positioned right next to the pool and a few of them overlook the street. The lovely outdoor swimming pool is open throughout the day alongside a children’s section. 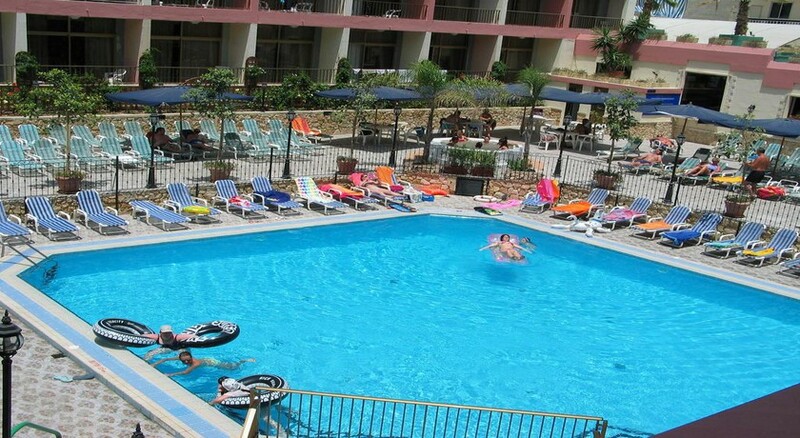 With all these amenities and of course the fantastic location the Santa Maria Hotel is sure to satisfy its guests. 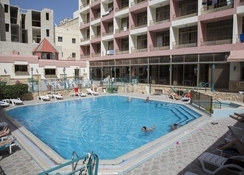 The Santa Maria Hotel is a family-friendly hotel situated just 800m from a lovely beach in northern Malta. There are a few restaurants and bars around the hotel. Valletta Waterfront, which is a must-visit place with a few prominent buildings, churches and shops is about 16.1km from the hotel. The Malta International Airport is the nearest airport at 19.7km. Santa Maria Hotel houses luxurious rooms that comprise all the amenities required for a calm and relaxing holiday in Malta. Some facilities you will find common across the rooms are air-conditioning, balcony, telephone, heater, fan, safety deposit box, hair dryer, satellite TV & radio and full bath with hand held shower. Mini fridge and tea / coffee making facilities can be availed from the reception with additional charges. The rooms are categorised as double or twin room (one child free up to 12 years), double or twin room (single use), one adult and two children up to 12 years, double or twin room (two adults and one child up to 12 years) and triple room (three adults). A buffet restaurant, pool side snack bar and steeples bar are some of the dining and drinking options available to the hotel’s guests. The restaurant serves breakfast, and three course lunch and dinner in buffet style. The hotel has employed friendly and professional staff members they will give you suggestions and recommendations to choose the best food and beverage combinations. 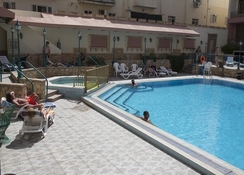 The hotel houses a large outdoor swimming pool and a children’s section in the pool. In addition to this, the hotel provides sun beds without any extra charges. Those who want to indulge in water sports can head to the nearest beach, which is only 800 metres away. There are many cinema theaters and sports clubs within close proximity to the hotel. This hotel was very good, friendly , organised and informative of the hotel clean . The room was cleaned every day . The cleaner was kind and helpful in every way although so busy she was polite had a beautiful smile . I enjoyed staying in this hotel , although it was busy at times the staff was able to cope . The food was reasonably good too. 3 star is generous, as I don’t want to be overly harsh, we went on this holiday as a family group the eldest being 90 yrs the youngest just 4 yrs, the hotel restrictioned our all inclusive drinks on an evening so much we’d go out from the hotel to a bar with a 4yr old because of the restrictions, choice of food was very limited which was a struggle for some of us, staff at the bar were also very slow so long queue for drinks and this seemed to be done on purpose also. On the plus side the rooms were clean.